DreamMaker has designed our systems with margins that allow our franchisees to provide great customer service while still allowing them the ability to pay themselves the salary they deserve – with a respectable return on their investment, a net profit, and equity growth. You might ask, what does DreamMaker have that could possibly help my margins? DreamMaker leverages its national vendor relationships to buy materials for much less than most independent contractors. DreamMaker provides an easy-to-use proprietary estimating system that helps franchise owners price jobs accurately, so they don’t incur unexpected costs while serving customers. DreamMaker’s sales system emphasizes quality and custom design. While price is a factor, it’s not the only factor. We are not the cheapest remodeling company in the marketplace, and we’re also not the most expensive. We aim for customers who are willing to pay for great service, as well as a remodeling company that will handle all aspects of the job with minimal disruption to the customer’s life. For each job, we encourage our franchisees to look at the profit margins earned on the materials, the labor and the project management. By monitoring each facet of the business, franchisees can quickly spot issues that may be eating into profit margins. Whatever issues may emerge, you’ll have the data you need to guide your business properly, and the coaching and support to help you find solutions. 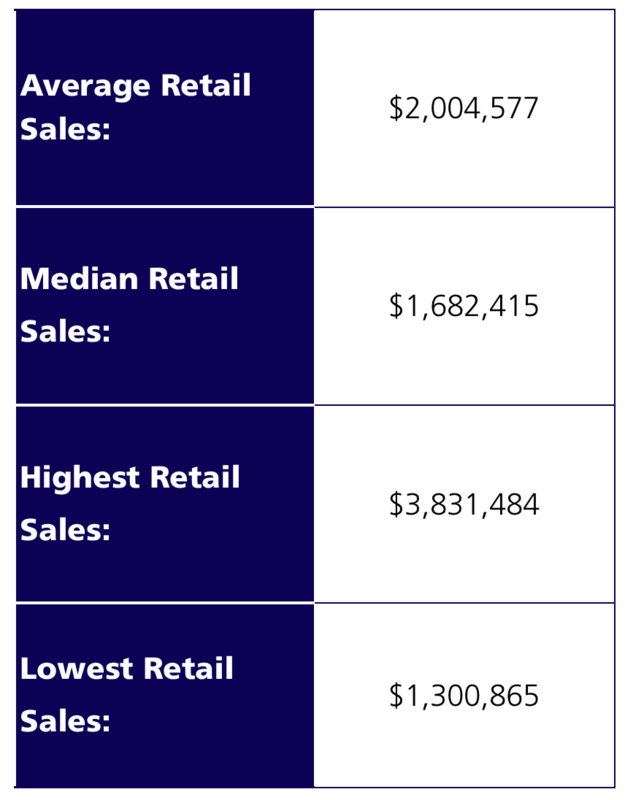 This chart shows the top quartile's Gross Sales. Located under Item 19 of our FDD. Represents the top 25% of franchisees. DreamMaker® Bath and Kitchen has seen average annual sales increase by more than 81% since 2011, more than doubling the growth rate of the remodeling industry during that same time frame. DreamMaker franchisees have $889K in average unit store sales, according to our 2018 FDD. While we can’t make any guarantees regarding your future earnings, we can show you a detailed financial picture from our FDD based on the past performance of our franchise owners, which will help you make a more informed decision. By reviewing our annual Franchise Disclosure Document (FDD), you’ll be able to gain a better understanding of how DreamMaker’s experience and mature systems are helping franchisees build healthy businesses. They’re using our time-tested systems to streamline their operations, focus on client satisfaction and ultimately maintain strong profit margins. Hanley Wood’s Metrostudy Housing Webcast for Q3 notes that tax reforms have already affected the high-price markets by reducing the value of mortgage interest deductions. Tariffs have dealt a blow to the new housing industry by pushing construction costs up faster than prices are increasing. And we’re just now seeing the beginnings of rising mortgage rates as inflationary pressures build up. Our national debt will inevitably slow economic growth. But the news isn’t all bad for all industries. Housing starts, while still projected to grow through 2020, are much lower than they were before the 2008 recession, according to Hanley Wood. With the predicted slow-down of new housing starts, the industry faces a shortage of inventory — which creates excellent opportunities for remodelers. Our consistent sales growth in such a vibrant industry makes DreamMaker an appealing franchise investment. How appealing? In the chart above, you can see 2017 revenue figures for the top-performing quartile of franchisees from our Franchise Disclosure Document. For more revenue figures, fill out the form at the bottom of this page to access our Franchise Information Center.